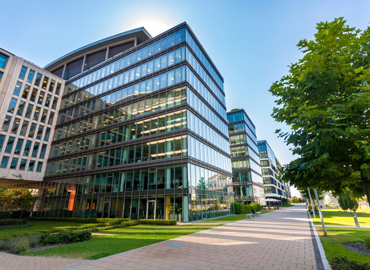 Commercial Landscaping Dallas: What's New Now That Spring Is Here? Now that we’re moving from winter into spring, the duties of a professional lawn care service can change quite a bit. Now we know very well that the difference between winter and spring here in the Dallas/Fort Worth/Plano area isn’t as pronounced as it is in other parts of the country (like the Northeast or the Rocky Mountain region), but there are still some changes that occur in the life of a commercial landscaper as a new season approaches. Again, it’s not like we have to deal with having a foot of snow on the ground. In many parts of the country, commercial lawn care pretty much just stops during winter and landscapers get out their snowplow attachments and make their money that way. When spring gets here, it’s time to make your lawn look as good as it possibly can so that it can impress your customers when they stop by. Let’s take a look at what that means. It’s about this time that the winter fertilizers start to give out and it’s time to put down new fertilizer that will make the grass really pop back to life. Once that happens, we can really get to the mowing and keep your grass at the perfect height. When the grass comes back strong, so do the weeds. And when you feed the grass, you’re also feeding the weeds…that is, unless particular herbicides are put down in order to control them. While there was a certain amount of weed control happening during winter, now is the time to handle the weeds that are growing quickly and trying to propagate. Grass diseases and fungus problems can occur in any season. Spring and summer problems often occur because of overwatering, but fall and winter diseases can pop up thanks to piles of wet leaves that create places that fungus thrives. 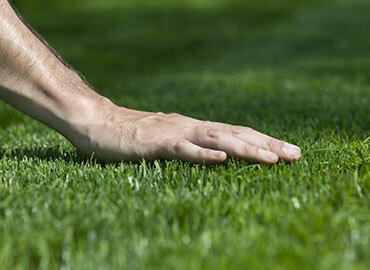 We’ll make sure the grass is healthy and treat it appropriately if there are any problems. 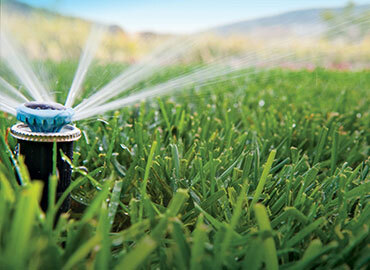 You’d be surprised at everything that can go wrong with a sprinkler system even when it’s not in use. Sometimes water gets into the heads and cracks them during one of our occasional freezes. Other times the sprinkler heads get stepped on by winter customers, either breaking them or knocking them out of alignment. Daylight savings time and power outages can alter the timers on the system, meaning that it has to be reprogrammed. We’ll take care of all of these problems when the time comes. 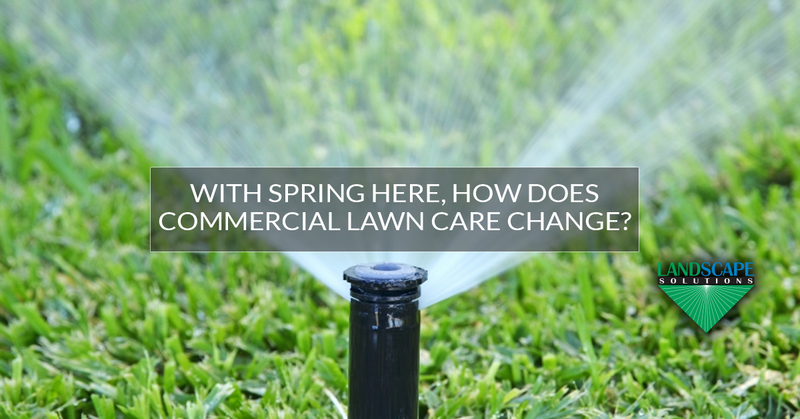 With spring here, you’ll be seeing quite a changes in what your commercial landscapers do. If you’re ready to get the best in the DFW area (including our hometown of Plano), contact us today for a free quote!